Join us on Sunday, April 28th for a course preview run of the NEW Gate City Marathon, Half Marathon and Relay course. We will meet at 8am on Main Street in front of the Santander Bank. We will have group leaders heading up different pace groups through both loops of the course. Anyone is welcome to join for as many or few miles as they’d like! Loop 1 is 7.1 miles and loop 2 is 6 miles. A complete course preview will give you 13.1 miles. 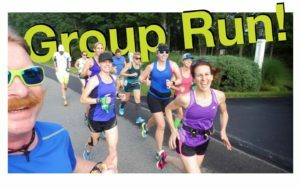 The group run is open to not just people running the race but the public too. Running partners, anyone that is just looking for some Sunday miles or maybe someone interested in the race and wants a look at the course before registering! The event will be rain or shine, just like race day.